Having your own business cards is great and an important tool for not just professionals in the business world but bloggers and even for personal use. For bloggers they are good to have to hand out and spread the word about your blog and really a must have if you attend any blogging events. 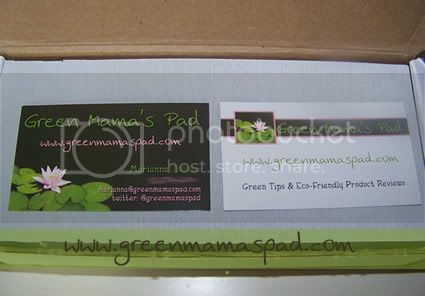 I have received 2 sets of business cards in the past from UPrinting and both were done wonderfully. The first set were business cards that I designed for this blog (pictured below). The process of uploading my image file, finalizing and then having the shipped was easy and fast. I also designed business cards for my husband for the second set. He uses them for his fraternal organization and is always receiving compliments. 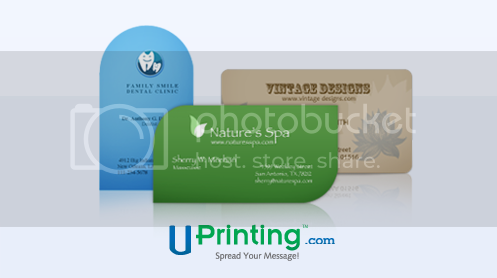 Thanks to UPrinting now you have a chance to win business cards for yourself! One (1) winner will receive 250 Die Cut Business Cards from UPrinting.com. Leave a comment telling me what you will use these cards for if you win. Will they be for your blog, business, etc.? - "Like" UPrinting on Facebook. Please leave me first name and last name initial to validate. - Follow me publicly on Google Friend connect. - Blog about this giveaway. Your post must include a link to this post. Please leave link. 5 entries. This giveaway is open to US Residents 18+ only and will end on Wednesday, March 16, 2011 at 11:59pm EST. One winner will be chosen at random using Random.org and will be posted on the Winner's Announcement Page. Winner has 24 hours to claim his/her prize otherwise a new winner will be picked. You must leave your e-mail address in all of your comment(s) so I can contact you. I will not share your e-mail address with anyone, it will strictly be used to notify you if you win. Good luck! Please note that the opinions and views expressed in this review are my own and based on my personal experience with the product and/or company. You may encounter a different experience with this than I did. This giveaway is sponsored by UPrinting, no monetary compensation was given and I will receive business cards for hosting. Note that if you have won any other prize from UPrinting within the last 6 months than you are NOT eligible for this giveaway. I would use these for the non-profit animal rescue group I volunteer with. We always give out cards with our info on so people can get in touch if they have questions about spay/neuter, adoption, ect. I will use them to hand out at BlogHer '11 this year! I would use them for my blog. I need some updated ones. for the business I am starting. Fantastic giveaway! I need some business cards to promote Spirited Sweets. This is my business where I sell jar cakes flavored with liquors (they are already baked, you can just eat them!) and cake pops in fun shapes! 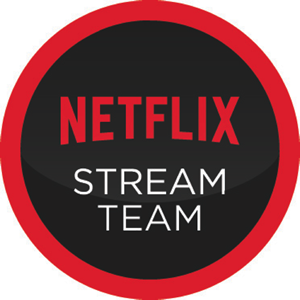 I just had a new logo created. So fun! I would use these for my blog. Follow me publicly on Google Friend connect. They'll be used for new animal care-giving business. Thank you for the giveaway! My daughter is a writer and would love to have these for going to writer's conferences and to include in your manuscripts. I'd use these as mommy/daddy cards, it makes arranging playdates with my little ones new friends far easier! I would use these for my buissness. Always need some wonderful cards. I would finally get some cards for work (cause they're too cheap to buy them). I use them as an update to my current cards, which only have my email address. I'd choose something new and pretty and add my blog address as well!